Discussion in 'Retro & Arcade' started by Vanne, Feb 14, 2019. There she is... First picture unpacked from its shipping box. This thread will be about this C128D, serial number DA 4 87727, and it's restoration/gaming/programming. Bit of history first, then more pics. flain, HyRax1, FIREWIRE1394 and 1 other person like this. Lol I was going to.post up a bunch of pictures straight away, but I couldent resist to see if it would turn on.. and it did.. lol.... BUT... PSU is toast, has arching noises and the fan winds up and then down... So I pulled the cover straight away and took a look.. yep PSU is toast... Needs to be fixed/replaced... Any tips on what will fit in here guys? And another very worrying thing I saw is this... Not really sure what this board is, but the cable at the back is completely disintegrated and the cables inside touch.. so that can't be good..
All those cables are touching as the insulation has disintegrated. Good stuff I'll be following this thread - I've been looking for some inspiration after (re)taking possession of a nice 128DCR recently. Vanne and HyRax1 like this. Lol How do I do that bud, I just link it from my hosting service. Is there a way to make it smaller? Just make the browser window smaller, they'll scale! On a phone, that's fine, but on a desktop PC with a 4K screen, the text can be very much dwarfed. If Pix was working, I'd say upload them there, but until then, I'd manually scale the images 50% before uploading to the hosting service. So read then look at the pictures, I didn’t have a problem at 4K or 1440p and on a desktop you have a a tonne of of controls to quickly change stuff. Yep I just resize the ones I want to host (keeping the originals locally too). MS paint does the trick. Just a suggestion! Take it or leave it! You can also put an s instead of an l for a thumbnail. adz and HyRax1 like this. Ooh, that's cool. Didn't know you could do that with imgur! I learned something new. I can go home now! 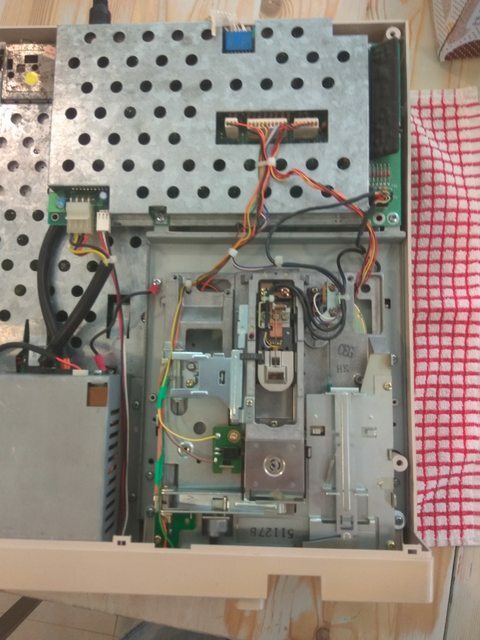 That ribbon cable at the back - the one which has disintegrated - is responsible for hooking the floppy drive controller to the mainboard. So it's kinda important! I seem to recall we replaced the one on our unit without much trouble*, for much the same reason. I can't help much with the PSU, but if you encounter any other problems I might be able to offer assistance. I have seen after-market PSUs for sale assuming it's more sinister than just dead caps. *"without much trouble" meaning the parts were available to do so from Jaycar. I'd just use a simple process of elimination - disconnect everything and then see if the PSU powers on by itself without having a fit. 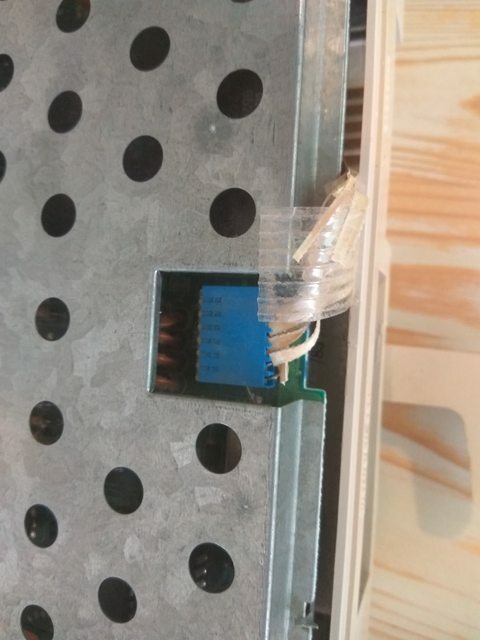 If it works, then turn off, and systematically start connecting leads again one at a time and test power-on again until you come across a fail, and there's your culprit. 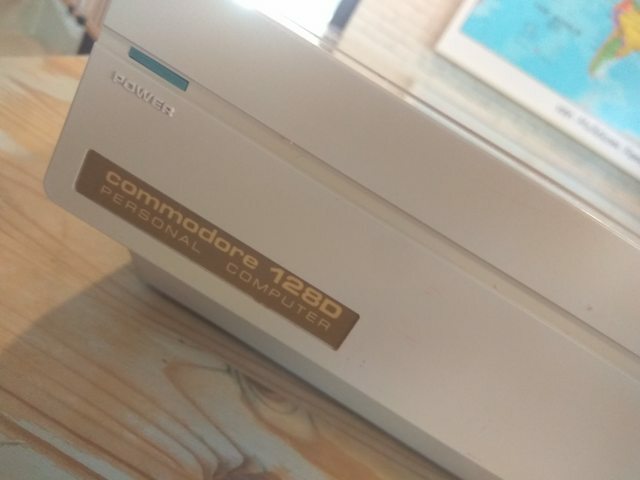 Thanks guys.. the PSU turns on, and the system boots, but you can hear it arching and the fan winds up and down.. does the 128 PSU output the same as the c64 one? I just purchased a new dual output one for my c64, so I wonder if I can replace this PSU with that? It's got 3 voltages, against the C64's 2. It uses the same 5VDC and 9VAC as the C64, but it also uses 12VDC for the 1571. 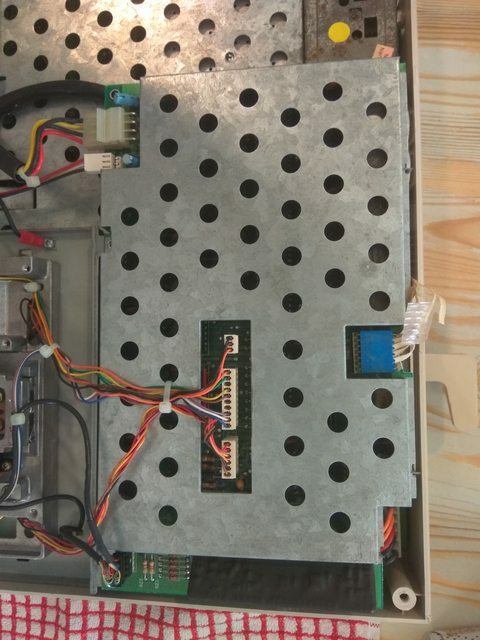 So you could get the computer working without the drive off a C64 PSU but you'll need to either get a separate 12VDC source or fix/replace the internal one. Also be aware that it is a higher current device than the C64, so you may burn out the C64 PSU if you use it long term. *ed: A small caution: be aware that the US version of the 128D is actually known everywhere else as the 128DCR, and they are VERY different internally. Since the bulk of information seems to be from the US (unlike C64 and Amiga information) you can run into problems by following the wrong instructions or diagrams. The 128D as we know it has the same basic mainboard as the regular 128, with only small modifications to accept the 1571 daughterboard (itself slightly different to the stand-alone drive). The dodgy cable is the internal serial cable: unlikely to be the culprit for the PSU failure. If you're in Melbourne I can take a look at it for you but the 128d PSU is an odd beast: I'd need to do some research.